10 Astillas Large historic mining district of iron, copper and manganese; large number of well-developed (abandoned) mines. Huge Railway sistems, partly still active. 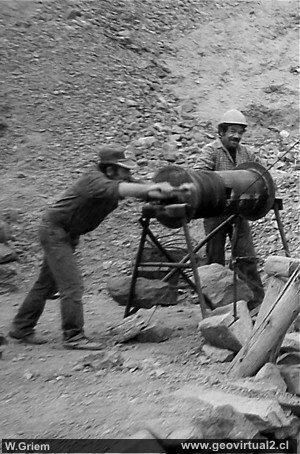 11 Carrizal Alto Mining district between Vallenar and Copiapó, one of the largest industrial complexes in the region around 1880. 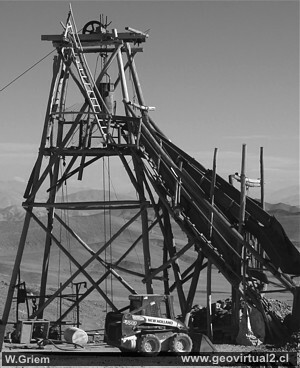 27 Galleguillos Mine in the sector Llano Morado, vein type - active (copper). San Pedro de Cachiyuyo Important mining center (Gold, little Cu) with vetiform deposits, generally underground, activity of well developed works and small scale mines. 10 Clays from the Copiap river valley Clays were extracted in several places to make bricks and fiscal bricks (sort of short burned brick): especially in Viñita Azul and Monte Amargo - Cardones. 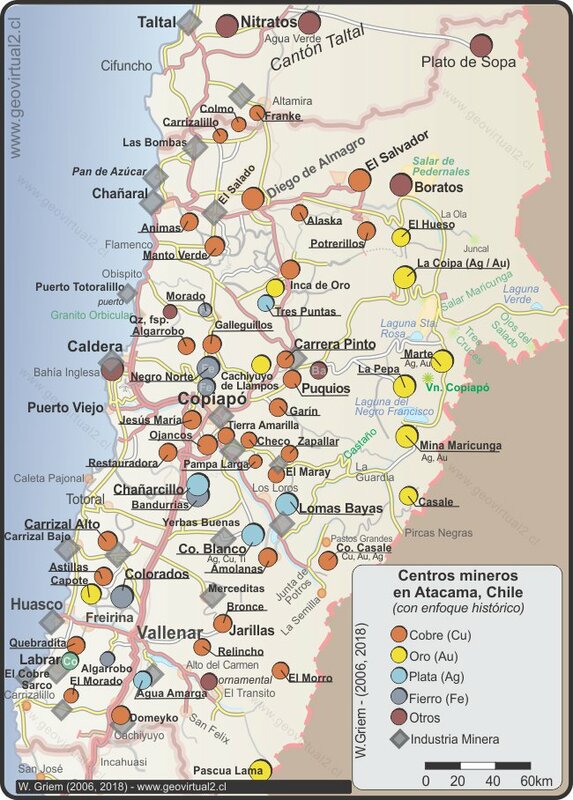 Mining districts in the Atacama Region. 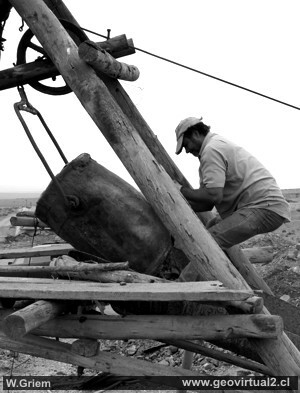 Lifting up the pit cage of a gold mine in the Jesus Maria district in 1989. 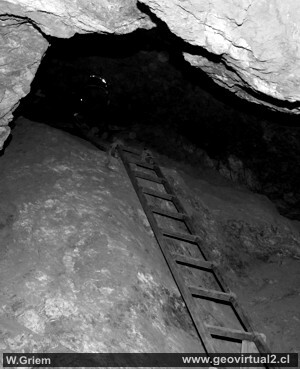 Typical descent or ascent in a vetiform mine, in a small scale mining district. 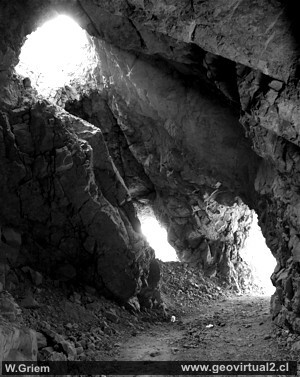 The most beautiful vestiges of mining: The shaft towers - here the wooden pit frame of the Rhodesia mine. 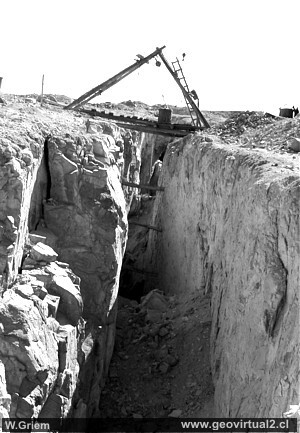 Extraction of ore in an open vein.